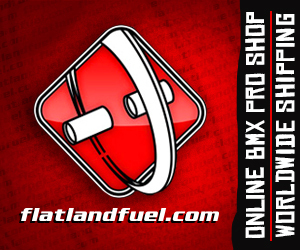 This entry was posted in Contest edits, Exclusives, News and tagged James White, Sam Foakes - 2nd Place UK Flatland Championships + Interview by Effraim. Bookmark the permalink. I am so excited about this – my favorite rider is back! Can’t wait for a new edit. When I got a chance to talk to Effraim in Colorado in 2014, I was one of those annoying guys asking for the secret info – is he still riding? How often? What kind of bombs are in the works? Is it true that he can walk on water? Why hasn’t he answered my prayers? Your not alone Brandon hahahaha I get asked a lot mostly via messages. More seriously its great for our scene here in the UK that he is back riding regularly. One of the best! Thanks for this Effraim! No problem at all Steph, hope inspired you to get out there and have a session. Hello there Effraim! It is so good for the sport and the UK that Sam Foakes is back. I just want to know if he will be returning for sure or he just went to the contest and thats it. Effraim you have to tell to the people out there to sponsor him. He is a good athlete and rider and can give a lot to any brand. Thanks! From what he said in the interview, he will ride when he can and there is much more to come. He has had a few very busy years with th birth of his child, it was great to see him back on the contest scene. Stay tuned. We missed you at the weekend Phil! To me, it doesn’t seem as though Sam has been away, getting second place’s a pretty result if you ask me. I meant ‘good result’, lol. Humblest dude in Flat. Great to see you back a shredding! Ironically, I got the same impression about Sam, that he seems humble. You know when you meet someone at times for the first time, you get an idea of the person. Although I haven’t met or know him personally, that’s my impression. I think it’s great to know someone over a period of time. Not to forget, he’s a great rider, at that to.